This week (February 6-12) in literary history – John Steinbeck’s Of Mice and Men was published (February 6, 1937); Charles Dickens’ Sketches by Boz was published (February 7, 1836); Charles Dickens was born (February 7, 1812); Ann Radcliff died (February 7, 1823); Emile Zola was charged with libel and brought to trial (February 7, 1898); John Grisham was born (February 8, 1955); Fyodor Dostoyevsky died (February 9, 1881); Brendan Behan was born (February 9, 1923); Alex Haley died (February 10, 1992); Laura Ingalls Wilder died (February 10, 1957); William Congreve was born (February 10, 1670); Charles Lamb was born (February 10, 1775); Voltaire returned from exile (February 11, 1778); Sylvia Plath committed suicide (February 11, 1963); Judy Blume was born (February 12, 1938); Cotton Mather was born (February 12, 1663). On February 6, 1937, John Steinbeck&apos;s Of Mice and Men, the story of the bond between two migrant workers, was published. He adapted the book into a three-act play, which was produced the same year. The story brought national attention to Steinbeck&apos;s work, which had started to catch on in 1935 with the publication of his first successful novel, Tortilla Flat. Steinbeck was born and raised in the Salinas Valley, where his father was a county official and his mother a former schoolteacher. A good student and president of his senior class in high school, Steinbeck attended Stanford University intermittently in the early 1920s. In 1925, he moved to New York City, where he worked as a journalist while writing stories and novels. His first two books were not successful. In 1930, he married Carol Henning, the first of his three wives, and moved to Pacific Grove, California. Steinbeck&apos;s father gave the couple a house and a small income while Steinbeck continued to write. His third novel, Tortilla Flat (1935), was a critical and financial success. In 1939, Steinbeck won the Pulitzer Prize for The Grapes of Wrath, a novel tracing a fictional Oklahoma family as they lose their family farm in the Depression and move to California seeking a better life. His work after World War II, including Cannery Row and The Pearl, continued to offer social criticism but became more sentimental. Steinbeck tried his hand at movie scripts in the 1940s, writing successful films like Forgotten Village (1941) and Viva Zapata (1952). He also took up the serious study of marine biology and published a nonfiction book, The Sea of Cortez, in 1941. His 1962 nonfiction book, Travels with Charlie, describes his travels across the United States in a camper truck with his poodle, Charlie. Steinbeck won the Nobel Prize in 1962 and died from heart failure in New York in 1968. Steinbeck was buried at the Salinas Cemetery. 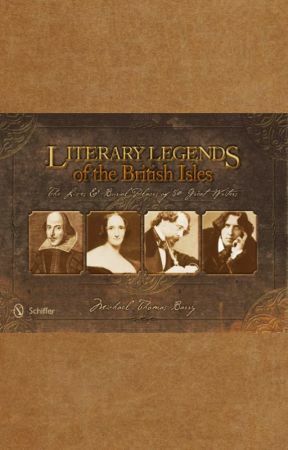 Michael Thomas Barry is the author of six nonfiction books that includes the award winning Literary Legends of the British Isles and the recently published America’s Literary Legends. Visit Michael’s website www.michaelthomasbarry.com for more information. 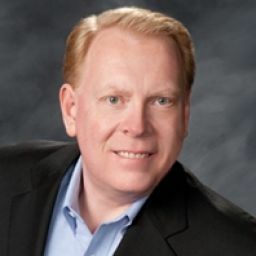 His books can be purchased from Schiffer Publishing, Powell’s Books, Amazon and other fine book sellers.